Burke is an affluent Washington D.C. suburb in Northern Virginia. Located south of Fairfax and west of Springfield, Burke is a great place for families to consider living. With an enviable combination of good schools, low crime, college-educated neighbors who tend to support education because of their own experiences, and a high rate of home ownership in predominantly single-family properties, Burke really has some of the features that families look for when choosing a good community. 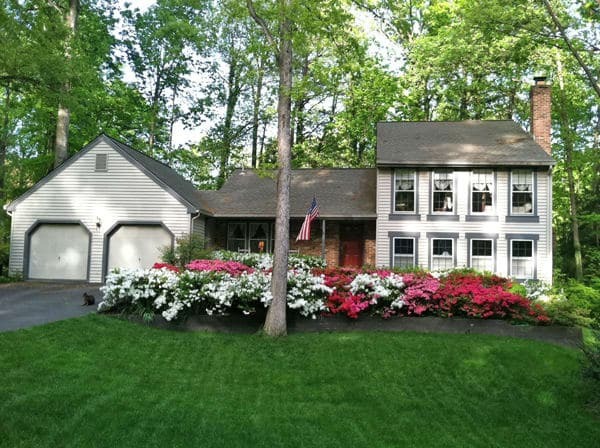 Adelphia Exteriors is well-acquainted with the Northern Virginia area. For more than 30 years, we’ve helped Burke homeowners choose replacement windows and doors that enhance beauty, add value, and increase functionality in their homes. As the Northern Virginia’s premier residential roofing company, Adelphia Exteriors knows the all the Burke home styles and building codes. We specialize in the custom roof replacement and installation that add to a home’s curb appeal, comfort, and energy efficiency. Looking to replace your roof with a roofing project this year? See why customers choose Adelphia Exteriors, Burke’s roofing contractor of choice. High-quality roofing materials. All of our roofs are equipped to stand up to the diverse Fairfax weather conditions – from the coldest snow days to rainy spring days to the hottest summer afternoons. Return on investment. Residential roofing services from Adelphia gives you a return on investment of between 60-70%, making it one of the best home improvement projects around. Burke homeowners are no strangers to volatile weather, and we aren’t either. That’s why Adelphia Exteriors replacement windows are expertly designed to keep warm air in during the frozen winter months and cool air in during humid, sweltering summers. This keeps money in your wallets when the utility bill comes. 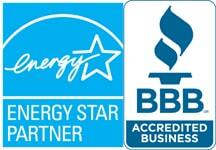 Adelphia Exteriors® windows exceed 2018 ENERGY STAR® standards and are designed for your home. Our experts use your Burke home’s exact specifications so that installation is hassle-free, and your home’s exterior is undisturbed. We also offer a wide variety of window styles and options to fit any home style or aesthetic preference. Just like our windows, Adelphia Exteriors replacement doors exceed 2018 ENERGY STAR® criteria, helping to lower monthly utility bills. They’re also custom designed and built for your Burke home using the highest quality products. What’s more, they’re installed by our team of experts and built to fit your home’s specifications, making installation painless. Adelphia Exteriors replacement doors come in a wide variety of colors, patterns, and panels – accommodating any Burke home style or aesthetic preference. We use only top-shelf materials, including steel cores and rot-resistant frames that are guaranteed to stand up to Burke’s diverse weather conditions. When we opened our doors more than 30 years ago, we did so with a commitment to customer service. Family owned and operated since 1978, we stand behind our window and door installation with top notch craftsmanship. If you’re considering starting your next home improvement project in Burke, contact us today for a free, no-obligation quote. You’ll learn more about how our replacement windows and doors can improve the look, comfort, and value of your home.